It has become a common practise in Tollywood to release trailers and video songs on star birthday’s and festivals. 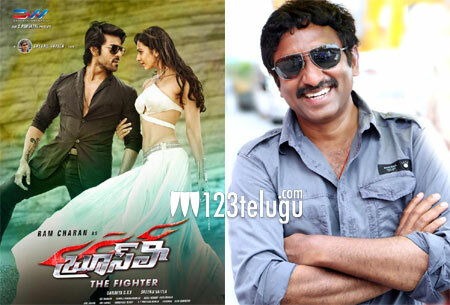 Continuing with the trend, a new song from Ram Charan’s Bruce Lee will be released on the 24th of this month on the occasion of director Srinu Vaitla’s birthday. Rakul Preet is playing the female lead in the film which is being produced by DVV Danayya. SS Thaman is the music director. Megastar Chiranjeevi is doing a special cameo in this film.